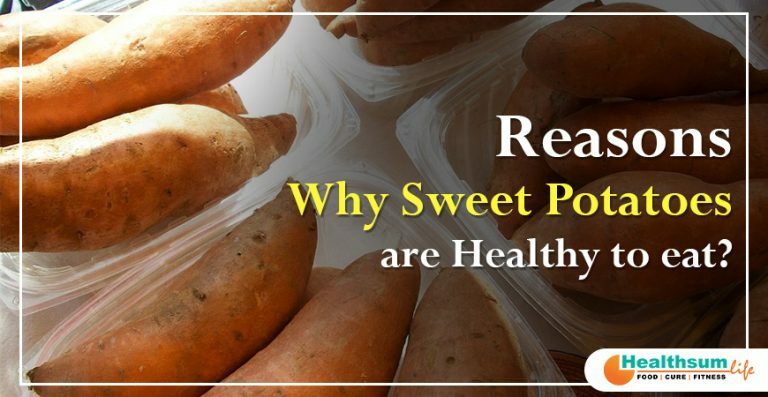 Reasons Why Sweet Potatoes are Healthy to eat? Vitamin B6 is known to lower the chemical homocysteine in our bodies. Homocysteine is associated with degenerative diseases that include heart attacks. Sweet potatoes are high in Vitamin B6 and therefore must be a part of our diet. Though vitamin C is vital to keep cold and flu viruses away, it also plays a significant role in the formation of bones and tooth, indigestion and formation of blood cells. It speeds up wound healing, produces collagen which is beneficial for our skin. Sweet potatoes are good sources of Vitamin C and help to prevent certain cancers. Mineral iron is essential for adequate energy but iron is important for the production of both red and white blood cells, to cope up with stress and for proper immunity. So, we must eat sweet potatoes for building healthy immune system. Magnesium is essential for maintaining healthy artery, blood, bones, heart, muscles, and nervous system. Sweet potatoes must be a part of our eating plan as these are high in magnesium. Sweet potatoes are in nature sweet-tasting but their natural sugars are gradually liberated into our bloodstream. This ensures a balanced and expected source of energy and does not lead to the blood sugar spikes which further causes fatigue and weight gain. The orange color of sweet potatoes signals higher carotenoids like beta-carotene and other carotenoids, which is the forerunner to vitamin A. These act as a prize for our eyes and improve our immunity. Carotenoids are influential antioxidants that keep cancer and aging effects at bay. Sweet potatoes can be consumed in a number of ways. We can eat these either roasted, puréed, steamed, baked or even grilled. These can also be added to the soups and stews and can be topped on leafy greens for an appetizing salad. Thus, sweet potatoes are a tremendous addition to a balanced diet. They do contain oxalates which bind calcium and other minerals, but when eaten in moderate quantity these can be beneficial for our health.